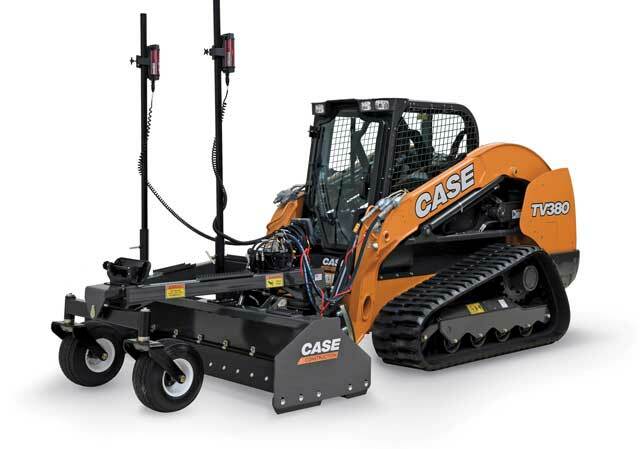 The new Case laser grading box is the first precision-enabled attachment for Case skid steers and compact track loaders. Ideal for a variety of fine-grading applications, the Case laser grading box creates precise finish grades to within 1/10th of an inch. A rotating laser is set for the desired grade. The rotating beam of laser light is read by the laser receivers, which are mounted to mast poles. The beam’s location is then sent to the control panel, which interprets where the beam of light is in relation to grade. The control panel then tells the hydraulic valve to adjust the grading box up or down to keep on grade. For more info, visit casece.com. 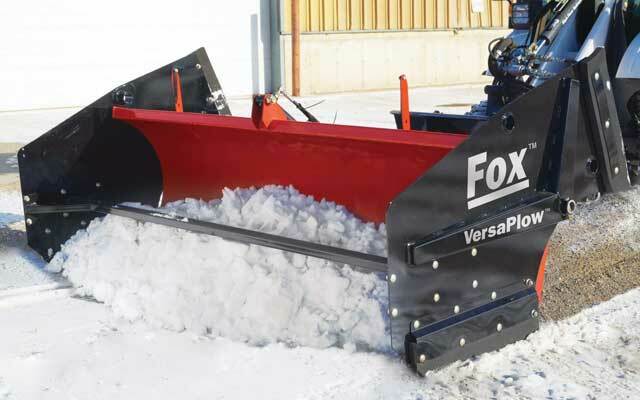 The VersaPlow snow removal system from Hiniker features a revolutionary new design that provides the ultimate in efficiency, combining the functions of a box-style containment pusher, a back drag containment box and a conventional snowplow into one rugged piece of equipment. The operator can change functions quickly and easily by hydraulically rolling the end panels into any position. It attaches to any skid steer or mini loader equipped with a skid steer universal attachment plate. For more info, visit foxattachments.com/versaplow. Worksaver’s 42-in. 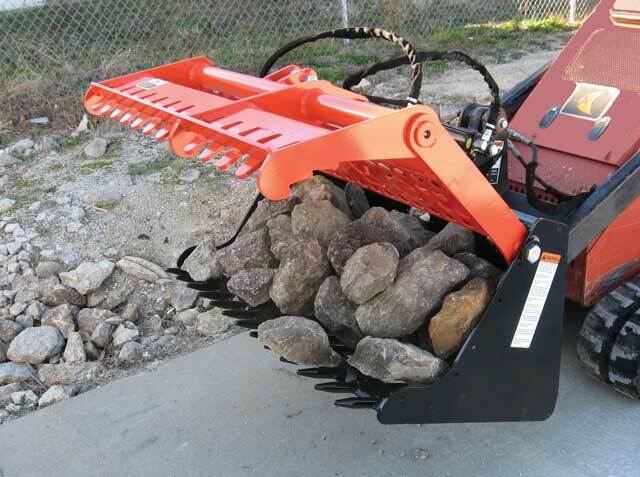 SARG (sweep action rock grapple) for mini skid steers and compact tool carriers handles rocks, brush, logs, stumps, debris, scraps and more. The patent-pending design allows operators to sort large or small rocks and debris with just one tool. The front grapples operate in a sweeping action to pull rocks or debris into the bucket for easy site cleanup. Grapple design then retains the rocks or debris while the operator rocks the attachment to sift out the dirt. Lower tines are made from 1-in. solid round and are spaced 3 in. apart. For more info, visit worksaver.com. 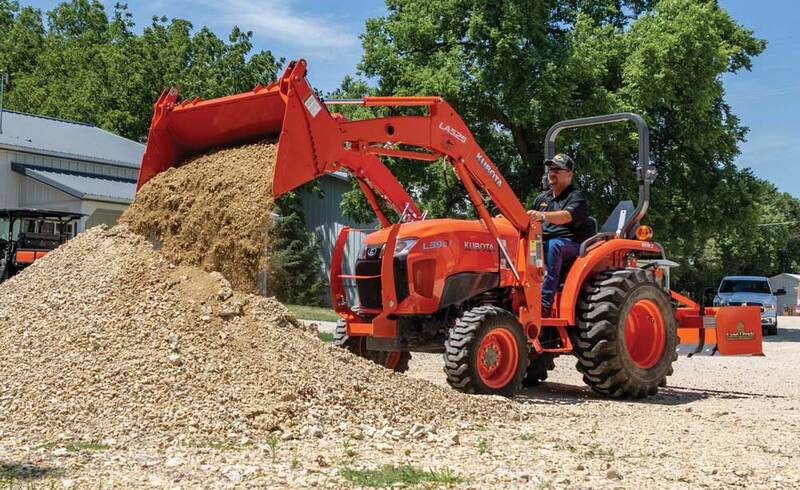 Land Pride’s new combo bucket is specifically designed to fit compact tractors up to 40 hp. Commonly referred to as a four-in-one bucket, these attachments can be used as a dozer, scraper, grapple or bucket. The CB1060 features a universal quick-attach plate, 60-in. width, maximum jaw opening of 28 in. and 3/16-in. side panels. The two hydraulic cylinders are rated at 3,000 psi with a clamping pressure of 3,000 lbs at 2,250 psi. Bucket capacity is 10 cu ft heaped or nearly 8 cu ft struck. The CB1060 can be ordered with a third function valve to fit many popular Kubota tractors. For more info, visit landpride.com. Danuser strengthens the company’s line of agricultural and industrial products by giving the Python Wire Winder a companion, the Python Wire Unroller. The new and versatile Python Wire Unroller slides into a 2-in. 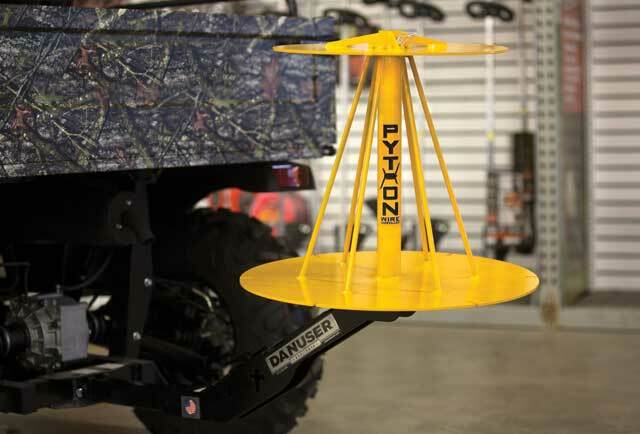 receiver hitch of a UTV or truck and easily unrolls new and Python-rolled spools of barbed and smooth wire for faster fencing. It will be available in mid-March this year. Key features include a convenient rebar and T-post straightener for fencing repair, built-in wire tensioner cleats for stretching and holding wire for tightening and controlled spinning to prevent backlash. For more info, visit danuser.com. 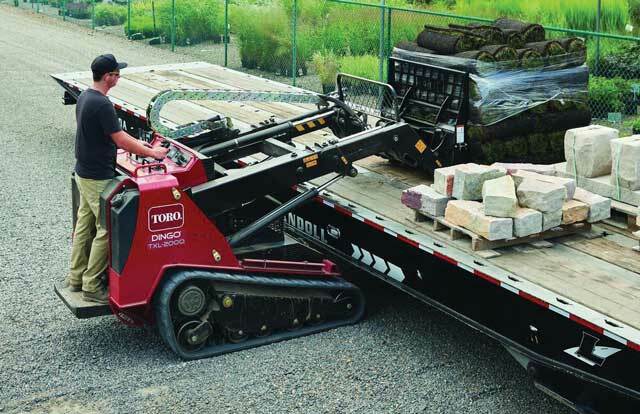 The new Toro Dingo TXL 2000 compact utility loader is available with a full lineup of attachments to accomplish virtually any task. One key attachment on the revolutionary new compact utility loader is the adjustable forks attachment, which makes loading and unloading material from flatbed trucks extremely simple and efficient. The forks are manually adjustable and measure 49 in. long. Tines are easy to adjust to accommodate loads of various sizes. Used in conjunction with the TXL 2000’s telescoping arm feature, engaging and hauling materials from hard-to-reach places is simplified. For more info, visit toro.com. The recently unveiled BA72C, BA84C and BA96C angle brooms and the BP72C, BP84C, BR60C, BR72C and BR84C pickup brooms from John Deere were designed for effortless cleanup in turf, snow and construction applications. The new pickup brooms are superior solutions for dust mitigation challenges and restrictive barriers like curbs and sidewalks. These pickup brooms feature a 660-mm (26-in.) diameter brush with standard 50/50 poly-wire segments and optional all-polypropylene brush segments, allowing operators and contractors to customize the attachment to their jobsite. For more info, visit deere.com. Okada America Inc.’s TOP Series hydraulic breakers are the result of decades of field experience and a long-standing record of leadership in the industry. Fourteen TOP Series hydraulic breakers ranging in energy classes from 150 to 15000 ft-lbs provide a broad range of solutions for skid steers, compact excavators, track loaders, backhoes and excavators. The small range TOP Series hammers are available in models TOP 21LT, TOP 31, TOP 35B, TOP 45B, TOP 55B and TOP 60B. Key features of the small range TOP Series from 150 to 1250 ft-lbs energy class include nitrogen gas, a long-stroke design, cup seals and customized mounting brackets. For more info, visit okadaamerica.com. Wacker Neuson’s utility brush grapple is ideal for site clearing and cleanup. The grapple is fabricated with high-strength steel and is engineered for heavy-duty applications with reinforced components and replaceable cutting edges. The hardened steel bushings, pins and cylinders ensure long operational life. The operator can control each grapple arm independently of the other, allowing for greater control to stabilize irregular loads. 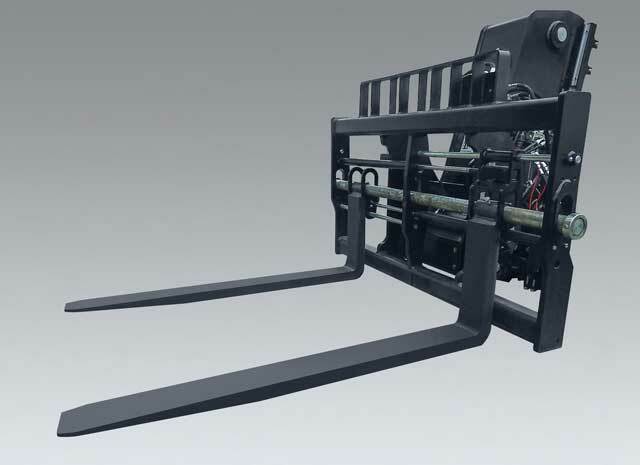 This hydraulically powered alternative to common hand-held tools for agriculture, construction, forestry and land management applications reduces job time. For more info, visit wackerneuson.us. Epiroc Multi Grapple hydraulic attachments are ideal for sorting and cleanup of various materials with precision placement, as well as for demolishing wooden and masonry structures. 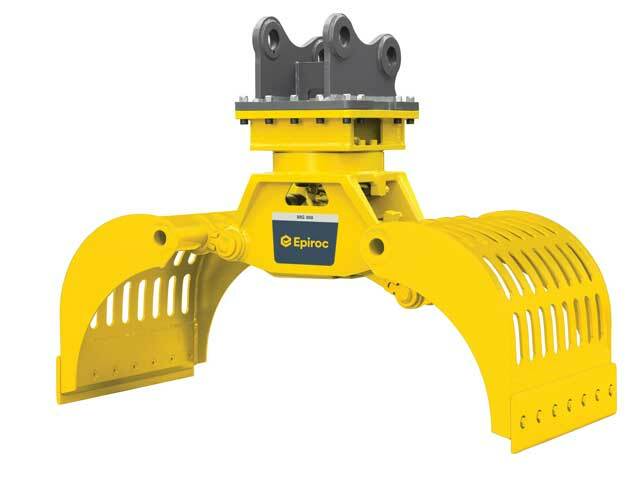 Epiroc offers multiple Multi Grapple options for compact excavators. MG grapples are operated with an auxiliary bi-directional circuit and feature 360-degree rotation that allows for optimal positioning and precise handling. This feature enables operators to easily rotate the jaws of the MG grapple to pick up material regardless of position. MG grapples are equipped with solid perforated shells, which provide visibility during operations. For more info, visit epiroc.us. Kinshofer X-Lock Coupler is a safe and quick solution for exchanging excavator attachments on the jobsite. 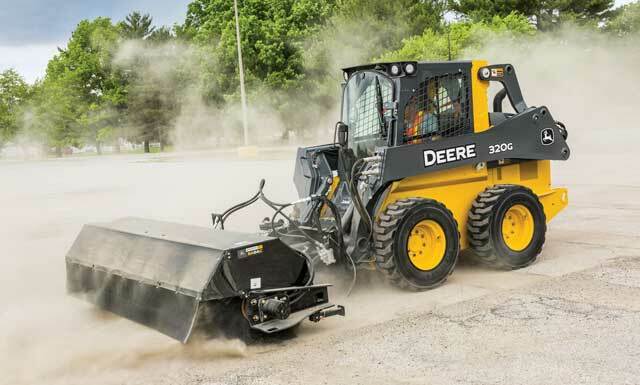 The tool allows the operator to exchange attachments safely from within the cab and features a wedge-locking principal, which allows the coupler to connect to the attachment in two separate places, where competitors only feature one locking point. 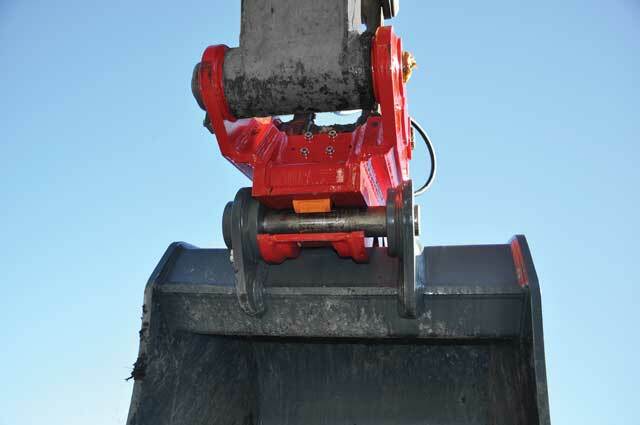 The X-Lock Coupler easily pairs with buckets, rippers, rakes and mechanical grabs as well as a wide variety of demolition and recycling attachments. Additional safety features allow the operator to connect and disconnect safely from within the cab. For more info, visit kinshofer.com. A new attachment for the JLG compact telehandler, the G5-18A, is the dual fork positioning carriage. It provides the ability to adjust the position of the forks, allowing the operator to handle a variety of palletized loads without having to leave the cab. It is 48 in. 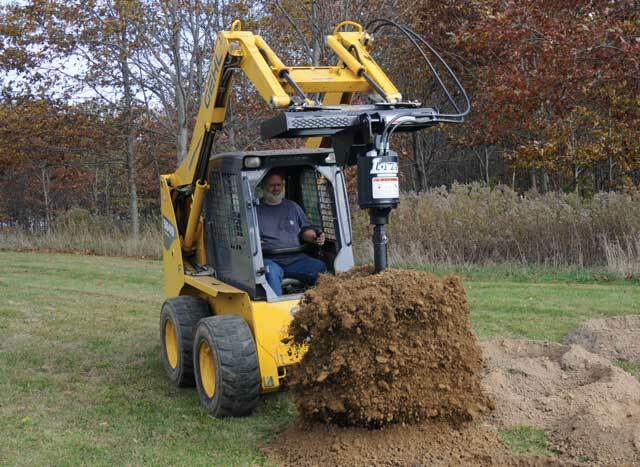 with a 5,500-lb maximum capacity and is available for both standard and universal skid steer couplers. The attachment requires auxiliary hydraulics and features standard up-and-down tilt on a horizontal plane. Operators will enjoy the G5-18A for its comfortable cab, tight turning radius and versatility of managing a variety of attachments. For more info, visit jlg.com. Steiner’s brand-new landscape rake attachment, the TR270 Terra Rake, effectively rakes soil, landscape debris, aggregate and other materials. 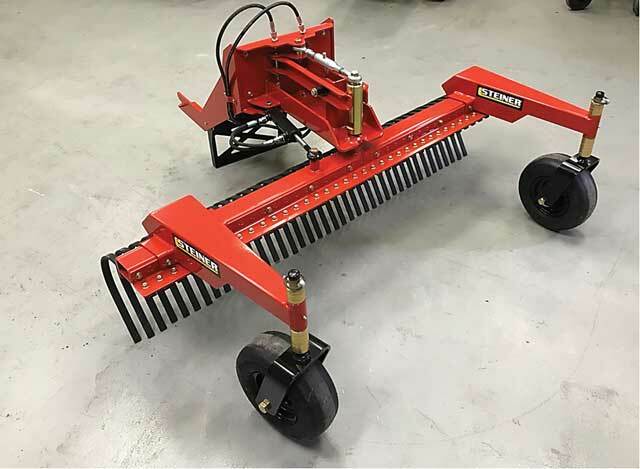 Applications for this new attachment include lawn and seed bed preparation or landscape work such as leveling dirt or gravel in parking areas. From the operator’s seat, the accessory controls on the Steiner tractor are used to hydraulically angle the 70-in. wide rake left or right to direct material. An exclusive spring-tensioned leveling system in combination with the independently height adjustable caster wheels offers material leveling capabilities. Available in April 2019. For more info, visit steinerturf.com. Lowe Mfg. Co.’s BP Series of auger drive units has a more compact housing and increased strength and durability. The Lowe-designed features include larger bearings with spacing for maximum strength and support and super strong shaft options of 2-in. hex or 2 9/16-in. round. These augers are made in the USA with high-quality gears, premium motors and castings, full-length housing, protected hose routing and a balanced alignment for vertical holes. There’s a two-year overall warranty with a five-year warranty on the Lowe designed and manufactured gearbox. For more info, visit loweman.com. 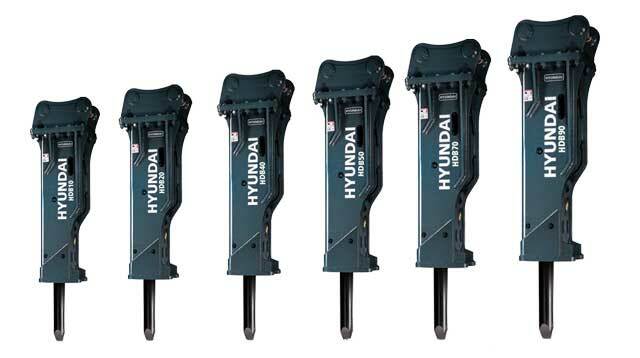 The HDB Series of hydraulic breakers from Hyundai Construction Equipment Americas Inc., includes 15 different models to fit multiple machine sizes and applications. Six models, ranging from 253 to 1,354 lbs, are designed for use on Hyundai Series 9A compact excavators. Hyundai breakers have a large chisel diameter, which increases the strength and durability of the chisel. Four chisel options are available. For use on a Hyundai excavator, standard equipped mounting brackets match up perfectly with the Hyundai linkage. When used on other excavator brands, Hyundai dealers can fit custom mounting brackets. For more info, visit hceamericas.com. 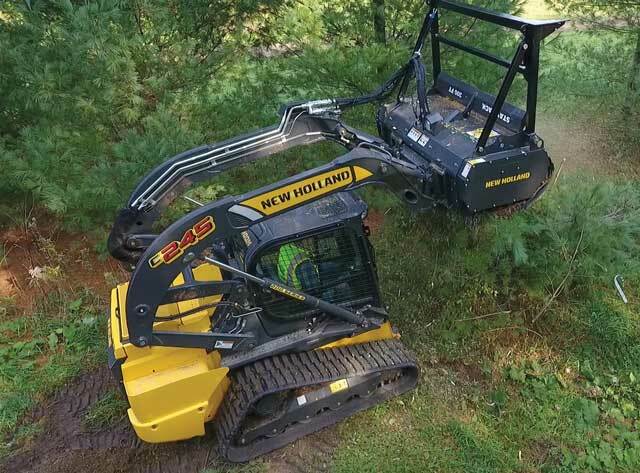 New Holland Construction offers a new mulcher head that can effectively grind 4- to 6-in. 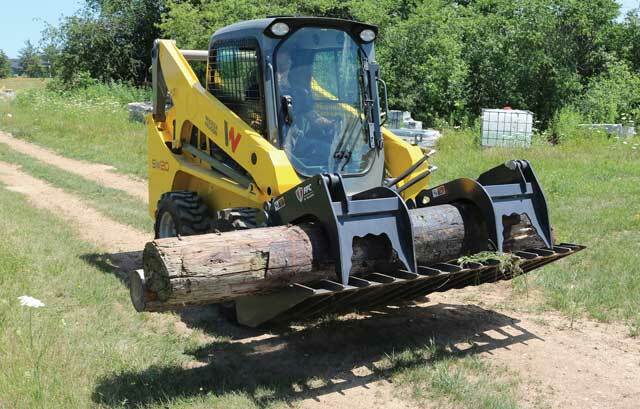 diameter material and is ideal for land clearing, site prep, right-of-way maintenance and trail maintenance. A pin-on push bar is a standard feature, which has serrated ears, along with a variable two-speed motor, which automatically adjusts displacement to maximize rotor speed and torque when changing material loads. The drum-style rotor system features a smooth surface, spiral tool pattern and innovative tool shape for effortless cutting. For more info, visit newholland.com. Brush Wolf introduces a new 7201 high-flow brush cutter model. The open front design cuts vegetation before the frame pushes the material over. The suction and long-lasting high tempered steel blades will clip through brush and saplings up to 6 in. in diameter. Every detail has been engineered for durability, easy operation and maintenance. The construction industry offers a vast selection of operating equipment. Brush Wolf has designed over 30 models to fit your mid- to full-size excavator, backhoe, skid steer or compact utility loader. For more info, visit brushwolf.com. 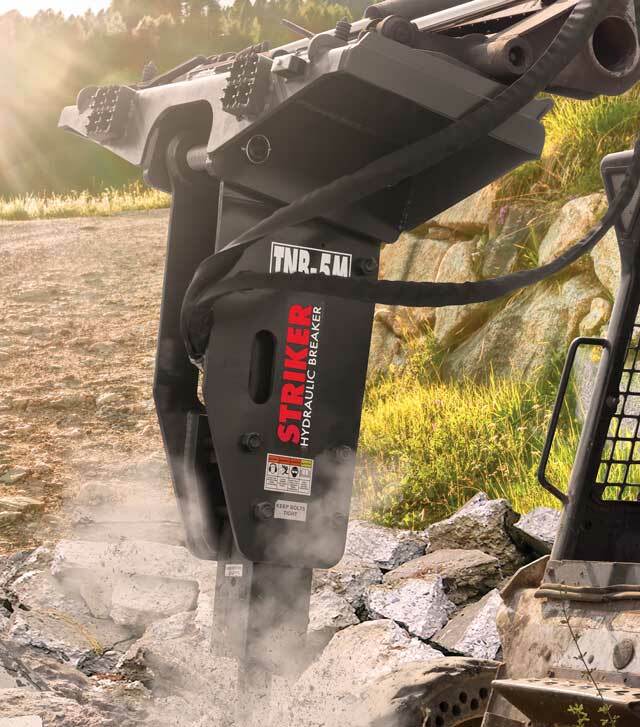 Striker Hydraulic Breakers by Toku-America Inc. are exceptional hydraulic attachments which produce industry leading impact energy, while also increasing overall productivity. Models from 100 to 12,000 ft-lbs all have accumulator-free technology. This built-in system removes pressure spikes and allows the breaker to have significantly less parts, downtime and overall operation cost. All these models also have the ability to be interchanged between multiple machines with an easy-to-use pin and bushing kit system. The pin and bushing kit system allows a hammer to be used in an abundant amount of applications and allows the breaker to be almost universal based on machine class. The larger model Striker breakers, 1,500 to 12,000 ft-lbs, come in standard silenced box housings which reduce overall decibels on site. These housings also reduce overall vibration and help reduce wear on the machine. For more info, visit toku-america.com. Click through this link for even more attachments.